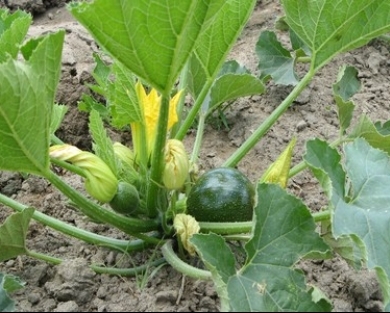 People often wonder if 8-Ball is their "real" name - as much as it sounds like a nickname we came up with after a long day's work, "8-Ball Squash" is straight from our seed suppliers. And this is some pretty seriously delicious squash that is also versatile for many different dishes and cooking methods. Because they are round, they can be hollowed out, stuffed with cheese, meats or even risotto, and then baked. Additionally, you can slice them horizontally into thin discs for easy grilling or irresistible battered and fried "chips". 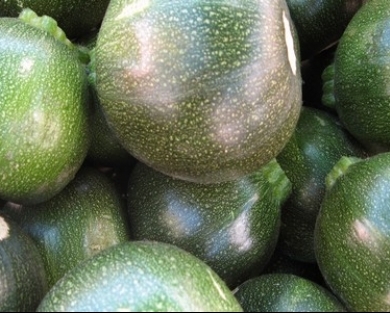 Their texture is lighter and airier than zucchini, and less stringy, with a sweet, nutty flavor. These are also great squash to use in dishes like casseroles or lasagnas - along with our dry farmed tomatoes, especially - as they are easy to layer and maintain their texture in the oven. You can even forgo the pasta all together for a gluten-free meal.